I extend my warm greetings to all of you on the occasion of the 70th Republic Day of India. I also take this opportunity to extend good wishes to the friendly people of Sri Lanka, on the Independence Day celebrations of Sri Lanka, which is due in a few days from now. As fellow democracies, it is a special occasion for all of us. This is the time to rededicate our commitment to the ideals that we share, to the bonds that we cherish. India and Sri Lanka, through the centuries, have been guided in our journey by Lord Buddha’s message of peace, compassion and tolerance. We are also celebrating 150th Birth Anniversary of Mahatma Gandhi this year. We are confident that our paths will continue to be lit by Lord Buddha’s blessings and Gandhiji’s wisdom. What lies at the heart of India’s relations with Sri Lanka? It is the people of both countries. All our activities in Sri Lanka are about making a genuine impact on the lives of people. Rooted in this ethos, I would like to briefly touch upon the six guiding principles of India-Sri Lanka bilateral relations: This can be a blueprint for the future of our two great nations. First and foremost, Sri Lanka is special for India. My leadership pays close attention to this relationship. This is not just because of our history or geography. It is because of our shared heritage, shared values and our shared interests. 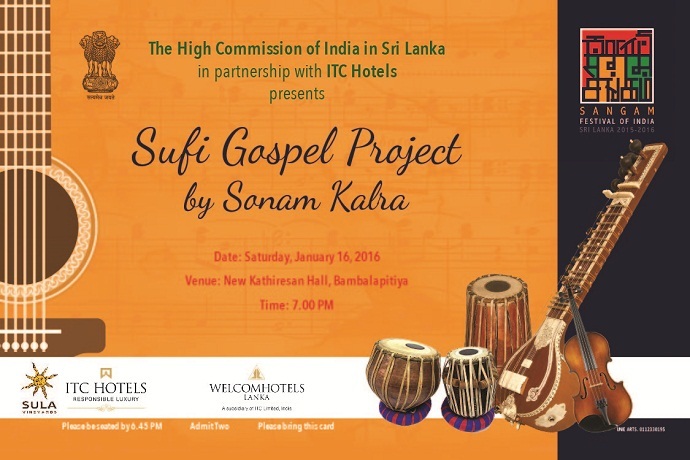 I am proud to state that the largest grant project ever undertaken by India in any country abroad, is in Sri Lanka. The total number of houses committed by India in Sri Lanka stands at 63,000 of which 47000 are already completed and handed over. This is all under pure grant which comes to around SLR 50 billion. This is just one example of our special ties. Secondly, a substantial part of India’s development partnership with Sri Lanka are gifts to people of Sri Lanka. In the last one decade, we have completed nearly 70 people-oriented development projects across all Provinces of Sri Lanka. It is not limited to one sector or area. From North to the South and West to East, it is spread all across the island. 20 more projects are currently underway. We are also setting up a model village in each of the Districts of Sri Lanka. We are about to complete the island wide expansion of 1990 Emergency Ambulance Service. Yes, all these projects are under grant. Thirdly, we will be there whenever you need us. Recently Central Bank of Sri Lanka approached us for USD 400 million currency swap under SAARC facility to tide over Sri Lanka’s immediate financial difficulties. It was done in matter of days. Similarly, be it drought or flood, whenever Sri Lanka has approached us for help, we have provided assistance in matter of hours. We measure our engagement not just by the scale but also by its depth. Fourthly, our partnership with Sri Lanka is based on Sri Lanka’s own priorities. We do not prescribe, impose or sell our ideas and interests to you. As the world’s largest democracy, we respect Sri Lanka’s choices, and we will respond to Sri Lanka’s requirements. Fifthly, we consider mutual interdependence as a sign of strength. We are conscious of the fact that the needs and challenges of modern times are too huge to be met alone. In this regard, greater connectivity and economic integration are our promise for a better tomorrow. Lastly, we have big dreams, big dreams for India; big dreams for our relations with Sri Lanka. As our Prime Minister Narendra Modi has said, the country with the world's largest young population cannot see small dreams. A nation of over 800 million youth dreams big. Within three years, when India celebrates 75th Independence Day, we will be sending three Indians to space. Indian Institutes of Technology, and Indian Institutes of Management, which have become a global brand name, will continue to produce leaders of tomorrow. In the coming decade, India will use Artificial Intelligence and Robotics to meet its growing socio-economic needs. At the same time, our effort will be to fuel development through clean and green sources. We will be smart and sustainable in every sense. We dream of a tomorrow where developmental aspirations of all are met; where peace, stability and prosperity reign. The largest transformation of 21st century, friends, will be happening next door, in India. In this journey, we want Sri Lanka to be our partner. On the occasion of the 70th Republic Day of India, I wish you all a year of transformation, from good to better, better to best.